THE ADVERSARY. The malevolent malarial parasite plasmodium falciparum is responsible for killing more than 400,000 people every year. Most of the victims are children. For her senior thesis, chemistry major Rose Gonoud ’17 squared off against one of humankind’s most ancient and implacable adversaries: Plasmodium falciparum, the parasite that causes malaria. Plasmodium is a truly diabolical foe, responsible for the death of more than 400,000 people every year, according to the World Health Organization. It also has an extraordinary ability to mutate, developing resistance to many of the drugs currently used to fight it. One technique for overcoming this resistance is to start with an old drug and fine-tune it to attack the newer strains of the parasite. Rose focused her research on decoquinate (DQ), a drug developed in the 1960s to combat bacterial infections in chickens. Last year, researchers made the surprising discovery that decoquinate is also effective against malaria, making it an attractive candidate for drug development. Unfortunately, there’s a problem. DQ is insoluble—it doesn’t dissolve in the bloodstream, making it impossible to deliver the drug to the organs where the parasite usually hangs out. Rose’s mission was to see if she could find a way to make the drug more soluble without sacrificing its malaria-killing power. Reed's board of trustees has elected two valiant new members to its ranks. Nick Galakatos ’79 is a co-founder and managing director of Clarus Ventures, a global investment firm focused on healthcare, with $1.7 billion in assets under management. Nick has more than 27 years of experience in the sector, including the founding of three successful biotech companies: Millennium Predictive Medicine, Millennium Biotherapeutics, and TransForm Pharmaceuticals. Before becoming an investor and an entrepreneur, he served as head of molecular biology research at Ciba (currently Novartis). He has published over twenty scientific articles and holds several patents. Nick majored in chemistry at Reed and wrote his thesis on “Synthesis of bis(trimethylsilyl)difluoromethane as an intermediate in the preparation of difluoromethanedisulfonic acid” with Prof. Marsh Cronyn ’40. He went on to earn a PhD in organic chemistry from MIT under the supervision of Dan Kemp ’58 and was a postdoctoral fellow at Harvard Medical School. He also taught organic chemistry at Reed in 1983-84. Nick grew up in Greece and came to Reed on the recommendation of Bill McGrew ’56, who was the President of his high school. He is married to Alice Balshaw Galakatos; they have two adult children. Tom Daniel is the founding executive director of Catalysis Advisors, offering insight and consultation in the biotech field. He has also served as chairman of Celgene Research, chief scientific officer at Ambrx, vice president of research at Amgen, and senior vice president of research at Immunexx. Tom served for 14 years on the faculty at Vanderbilt University, where he was the Hakim Professor of Medicine and Cell Biology and director of the Vanderbilt Center for Vascular Biology. He also conducted research for the Howard Hughes Medical Institute through the University of California at San Francisco. He earned his M.D. from the University of Texas, Southwestern and completed medical residency at Massachusetts General Hospital. Tom and his former spouse, Susan Erickson, are the parents of Lyle Daniel ’18. Pathogenic E. coli is a leading cause of diarrhea, which killed 1.5 million children in 2009 alone. Professor Kelly Chacón [chemistry 2015–] has won a grant of $53,500 from the M. J. Murdock Charitable Trust to study pathogenic bacterial metal detox via x-ray absorption and fluorescence spectroscopy. She plans to use a combination of state-of-the-art spectroscopy and biochemical methods to understand how pathogenic E. coli thwart excess copper levels. Prof. Chacón hopes that understanding this mechanism will allow scientists to develop alternatives to traditional antibiotics to which pathogenic bacteria are becoming increasingly resistant. 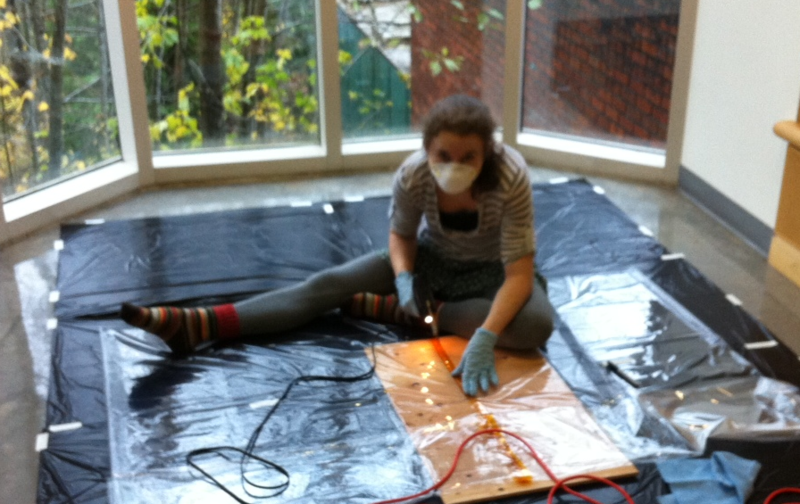 She views the project as an ideal field of study for undergraduate chemistry students. The grant will allow Prof. Chacón to select several students to travel to a national laboratory with her and provide them with an invaluable learning experience. Ken Koe ’45 won a full scholarship at Reed and pursued a stellar career in biochemistry, culminating in the discovery of sertraline--better known as Zoloft. He was a quiet, scrawny kid from the wrong side of the tracks. Grew up during the Depression. Bounced around the Pacific Northwest while his parents hunted for work before settling in Portland. Washed shirts in the family’s Chinatown laundry. Money was tight; he sometimes went hungry. Walking to Lincoln High School, past the knots of hollow-eyed men who thronged the streets of downtown Portland, Ken Koe ’45 knew that for a guy like him, college was not a luxury. It was an escape hatch. The night before his high school graduation, he heard the sound of the escape hatch opening—Reed College had granted him a full scholarship. So in the fall of 1942, he became a day-dodger at Reed, embarking, as he would later say, on an “exhilarating intellectual journey.” He read Homer in Literature 11 and took freshman chemistry from Prof. Arthur Scott [chemistry 1923-79]. After class, he hopped on the Eastmoreland trolley back to Chinatown, waiting tables and washing dishes at Hung Far Low. Somehow he managed to graduate in just three years, writing his thesis with Prof. Fred Ayres [chemistry 1940-70]. Government regulators are not measuring the full effect of power plants on air quality, according to a team of Reed researchers, because they fail to account for the interaction of power-plant emissions with natural emissions from a surprising source—trees. In some cases, the impact of these so-called “secondary organic aerosols” is almost twice as strong as the pollution that is currently measured at the smokestack, calling into question the adequacy of conventional methods for measuring air quality. 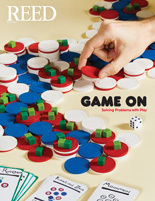 The study by Prof. Julie Fry [chemistry and environmental studies], Prof. Chrs Koski [political science and environmental studies], Kristin Bott [Instructional Technology Services], Marisa Hazell ’15, and Raphaela Hsu-Flanders ’16, published in the June 2015 issue of Environmental Science & Policy, shows that the impact of trees on air pollution is much more complicated than you might think. Prof. LaLonde will investigate the potential of bismuth as a catalyst. Prof. Rebecca LaLonde ’01 [chemistry 2013-] has won a $40,000 grant from the Research Corporation for Scientific Advancement to investigate the element bismuth. One of the most urgent challenges facing organic chemists today is the need to synthesize enantioenriched bioactive molecules to treat diseases such as malaria, HIV, and cancer. Unfortunately, these chemical reactions typically require the use of rare, expensive, and potentially toxic heavy metals as catalysts. But one heavy metal is cheap, readily available, recyclable, and non-toxic—yes, we’re talking about bismuth, the active ingredient in Pepto-Bismol. Chem major Danielle Draper ’13 just won the coveted Class of ’21 Award, recognizing exceptional creativity, initiative, and spontaneity, for her thesis, which looked at how nitrogen dioxide (NO2) emitted by vehicles affects the formation of aerosols, or tiny particles, in forests. It turns out that trees naturally emit gasses—like those responsible for the scent of spruce needles—that turn into aerosols in the atmosphere. Danielle wanted to know how that process was affected by manmade emissions--in other words, how humans are changing the “natural” flow of a forest. In particular, she investigated this reaction as it occured at night, under the cover of darkness. To conduct her experiments, Danielle had to construct an atmospheric chamber, build a special computer model to study chemical kinetics, and analyze reams of data. Her findings were intriguing. While most tree emissions (e.g. the spruce-scent particles) react with NO2 to create more particles in the atmosphere than they would have alone, alpha-pinene, an emission largely found in pine trees, actually produced fewer particles when combined with NO2. Malaria is a killer. Over 200 million people are infected every year, and over one million, mostly children, die as a result. It is not a lack of medicine that allows malaria to run rampant; a highly effective treatment called Artemisinin-based Combination Therapy (ACT) has existed for years. 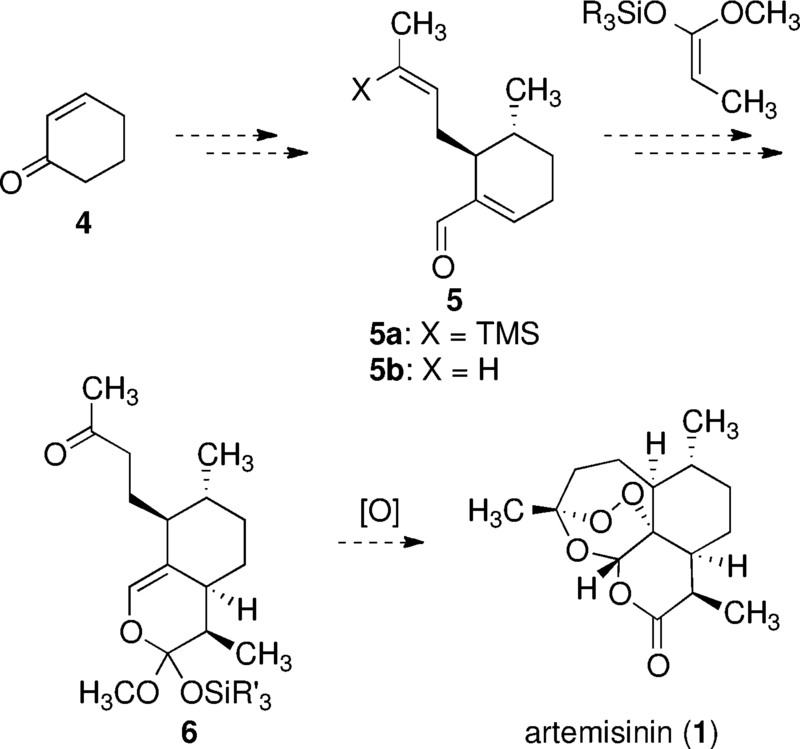 The issue is cost: ACT's main ingredient, artemisinin, is prohibitively expensive. A research team led by Indiana State University professor Silas Cook '99 has found a way to change that. 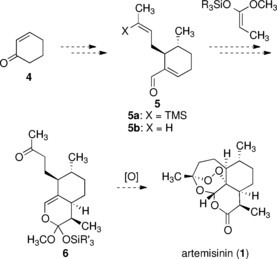 Artemisinin is usually obtained in one of two ways: harvesting it from its natural home in the sweet wormwood plant, or using a bit of biological alchemy to create a synthetic version. Harvesting it from wormwood is a difficult process to begin with: combined with crop shortages caused by poor planning, natural disasters, and other unpredictable disruptions, this method has proven incapable of providing a consistent, cheap yield.